The wait is over! 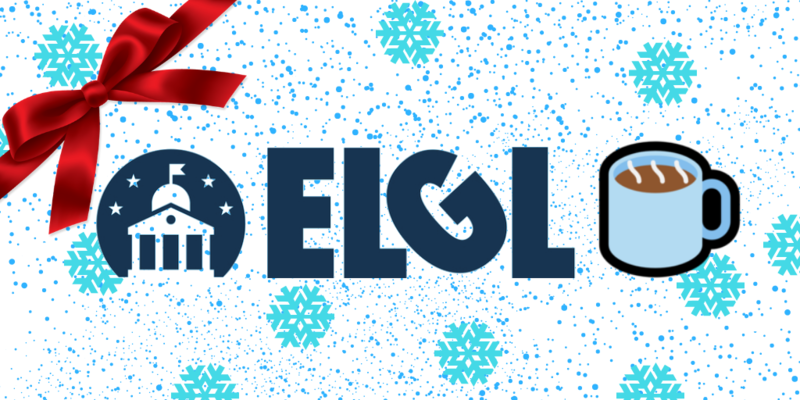 Snowy roads and plunging temps mean it’s time for the ever popular ELGL Holiday Mug Exchange! Back by popular demand, you too can share the gift of joy with a fellow govie by gifting them something awesome. The mug swap is a fun way to connect with others in the local government world and add to your own collection at home or the office. Participation is simple. Sending a gift is fun and getting mail is even better. In short, you’ll be sent information for another exchange participant and that will be the person you’ll gift with a mug. Someone different will be given your information and will shop for you. How it works: Any current ELGL member can use the super quick SignUp Genius to signup by December 7. We want to make sure everyone who sends a mug gets a mug, so please don’t sign up unless you are going to participate FOR SURE. After you signup watch your email like a hawk because the match will be made on Dec 7 and you’ll be sent instructions on how to access the name and shipping address for your match. Shop, rifle through town stocks of giveaways, painstakingly hand paint a village seal onto a ceramic stein, etc. Ship your item before December 14. When you receive your mug be sure to tweet or share a picture using #ELGLMugs! Do I have to be a ELGL member to participate? Yes. ELGL membership is $15/students, $30/individual, and $300/businesses. Join here. Participation is simple! You may sign up and participate in the exchange using SignUp Genius! Sign up deadline is December 7, after that you’ll receive your holiday swag partners information via email. What if I don’t have a municipal mug? Running short on city logo mugs? No problem. Simply find one that showcases your community, alma mater, local sports team, or anything else worth sharing this holiday season. The spending limit should not exceed $12. Struggling to find the perfect mug? Pay a visit to the exclusive ELGL Store!